Are you a Day Dreamer? Oh Boy, some days I am! And if I were wrapped up under this beauty I would be a day AND night dreamer! These colors are dreamy, aren’t they? I love working with batiks: they are so easy to work with, and the color depth is amazing! These batiks are hand picked by Jacqueline for this new pattern of hers. She’s amazing! If you’ve ever had the pleasure of meeting her, you’ll agree. She’s a “regular” person just like you and I, but packed full of talent and creativity. OK. Back to these fabrics and Day Dream by Jacqueline de Jonge! 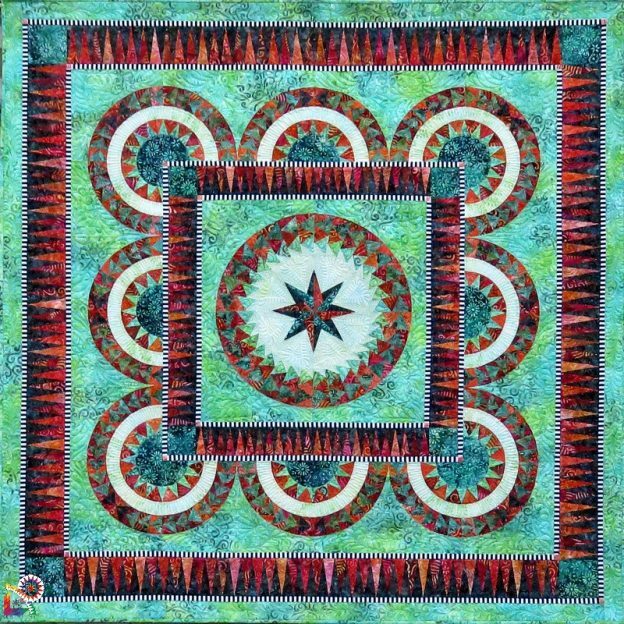 This quilt finishes at 66″ x 66″, just right to toss across a bed! Check out the Center of Day Dream…how many circles of flying geese do you see? Jacqueline makes her curved piecing SO EASY!! And the center star….WOW!! Love this! It is so dimensional! The lighter background that the star rests in draws your eye right to that gorgeous center. Don’t worry, it is easy to make those centers! I made one that measured about 5″ from point to point, and all the seams matched and ended up right where they were supposed to be! 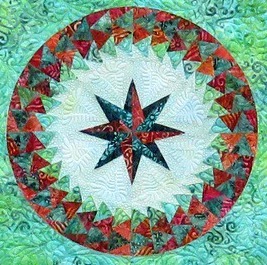 The spiked borders around both the Center Star and the outside borders lend some contrast both in color value and geometric shape, a lovely transition between the circles. 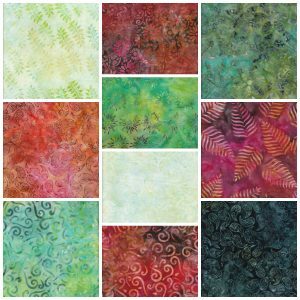 Day Dream Quilt Kit and Pattern is $206.99 plus shipping. Click here for QuiltTrends Etsy!